It’s a warm, sunny day—not too hot, not too cold, and certainly not too windy. It is the most perfect day for that charity golf outing that’s been months in the making. But before your next golf event is planned down to the last detail, keep in mind that there may be extra areas of opportunity to raise revenue for your nonprofit by incorporating golf sponsorships and hole gameification. Charity golf events are gaining popularity as a fun way to raise donations for all types of nonprofit organizations. And for a great reason! These fundraisers are a way for donors to enjoy being outside, have fun, and support a great cause. 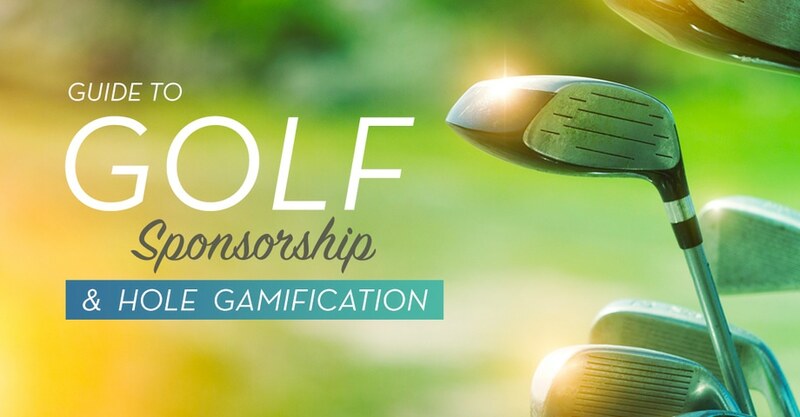 With the right know-how and some creativity and technology, they provide ample opportunities to raise money before, during, and off the green. Follow Through and Follow Up! Plan far in advance. Your donors are BUSY people, so it’s important to get the date on their calendars early. Use best practices to create a successful event plan and ensure smooth execution! Send emails to past donors and potential contributors. Share event details on social media and conduct promotional activities throughout the community. Keep an up-to-date email database so the right audience receives the right notifications and reminders at the right time. Use your OneCause Giving Center to create an online event information, ticketing, and registration page that includes important details like general information, event timeline, parking instructions, FAQs, and RSVP. Put your silent auction items out early to engage donors as they register and to generate more bids before they even hit the course. Communication and a seamless process for golfers are the two most important aspects of success. Fundraising solutions can help the busy and stretched event staff and volunteers stay on top of the early planning, which will pay off ten-fold on the back nine. Attracting sponsors to your golf outing, is all about visibility and value. How is your charity outing driving impressions or brand awareness for their business? Any easy way to lock in golf sponsorships is to make your levels unique. Use the course itself to help advertise and promote those underwriting your event. Include hole sponsors, in course game sponsors (see below), plus pre and post event charity event golf sponsorships to add tangible marketing value to underwriting levels. Add signage and other promotional elements to drive visibility and maximum exposure. Another unique way to increase sponsorship, is to use existing digital channels to showcase their brands. Your OneCause Giving Center (microsite) is the perfect platform to thank and recognize sponsors. As registrants go to buy tickets, bid on auction items or buy mulligans, they see event sponsor logos and can engage directly with the brands on your site through web links. This digital visibility is priceless to sponsors – use it as a selling point! Finally, if you include mobile bidding as part of your golf event, the BidPal mobile bidding interface and live scoreboards provide additional (and valuable) sponsor opportunities. Create exclusive sponsor levels that give premium underwriters the chance to brand their logos electronically and rotate them throughout the event. You are giving them their logo on every smartphone, and every scoreboard – hundreds of impressions throughout the charity outing. It’s sure fire sponsor attractor! Once you secure your golf sponsors, time to turn to maximizing on course revenue. Golf may be the game of the day, but there are numerous ways to add in extra fun and raise more donations for the cause at the same time! Ready for a few of our favorites? Give players the opportunity to peruse silent auction items before play, during play via a mobile event webpage or after their round. By having players bid on items with their mobile device, they can quickly see if the player beating them on Hole 7 is also beating them for a desired auction item! Have a pro staged at one of the more difficult holes on the course. Participants can donate a certain amount for coaching tips or, for a little extra, they can have the pro drive from the tee for them. For some players, it’s about winning something. Create a contest for the longest drive at the range or hold a putting challenge where players pay to play, then can pay to play again if a rival beats them. With each attempt, participants are entered to win a percentage of the pot or another valuable prize, so the more often they play, the more chances they have to win! This is one of the most popular and easiest charity golf outing games out there. Each foursome pays for one pink golf ball, which is rotated between players at each hole. The score of the golfer with the pink ball is recorded. Any team that loses the ball is eliminated, and the winner is decided by the team with the lowest score for the pink ball. The easier and more convenient it is for a donor to play these games or to see how their latest auction bid or drive length is standing up, the more they’ll want to play and the more they’ll contribute. By setting up OneCause text messaging to send throughout the day with updates to the players, the more they’ll stay focused on the most important play of the day raising for your cause! Mulligans are a great way to give golfers a break and raise more funds for your cause. They are easy to set up in OneCause as fixed price items, along with raffles, drink tickets and more buy now revenue ideas. Let the players purchase them on the course, as they need them. This will keep your registration moving faster and your revenue climbing! Your golfers will love the added excitement on and off the course and you will love the results! One of the best ways to make sure a donor remains a donor is to make the end of the day just as great as the day itself. This can be accomplished by following up with golfers after they wrap up on the green by providing them with instants receipts that includes all of the information they need: transaction details, tax documents, a list of items that they won during the silent auction, and instructions for how to donate to the nonprofit’s cause year-round! Thanking participants for their time and their donations is also a key component—but one that is often forgotten or delayed. Send genuine thank you notes and send a survey that asks participants to vote for their favorite auction item and to share how the day could’ve been even better. Just remember, the longer it takes to send the follow-up, the more details are likely forgotten. Additionally, send participants a note several weeks later letting them know how their donations have already contributed to the nonprofit’s greater cause—which is the reason they spent their day on the green in the first place. By keeping them in the know and invested in the cause, they are much more likely to continue giving—and to bring a friend along to the event next time. Finally, share the love with the community through media placements, advertising, and social media to share details of the event, name top donors, and give non-participants a friendly FOMO (fear-of-missing-out) so they reserve their spot early for the next event! 18 Shots: Golf Tournament Ideas That Drive Revenue. FREE BONUS: Download our FREE Golf Tournament Fundraising eBook You can save this resource as a PDF and use it for your organization’s next event. Make your next golf tournament an overwhelming success!